17 Oct 2013. iss flyby 2009hrs. E5 F4 15s ISO 250 7mm. I shot this same composition with the OMD EM-5 (see pic before). 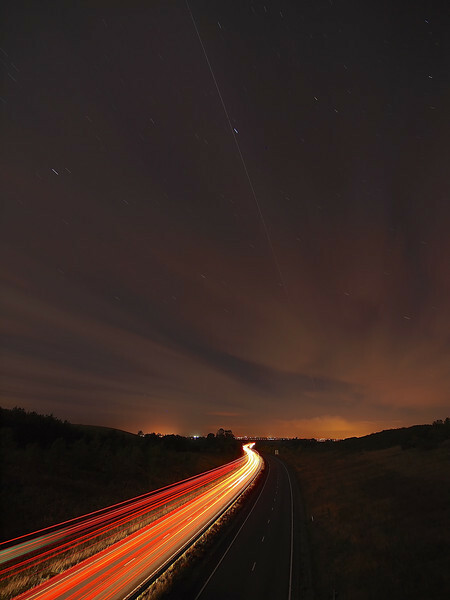 Car tails with iss over A14 East Midlands.